June 5 is Arbor Day. Thousands of trees will be planted worldwide. People will revel in a feel-good moment. And most of those trees won’t make it to maturity because one day simply isn’t enough to ‘appreciate’ trees. We can’t just plant them and forget about them – they need to be cared for, weeded and nurtured. Arbor Day feels completely wrong to me – like a memorial day for trees. We rely on them every day of our lives for food, air and shelter and in return, we give them one day to tokenisticly stick one in the ground. It should be Arbor Day every day! Anyway, don’t let my curmudgeonly rant stop you from enjoying this veritable forest of tree-related links. Main image by Godfrey Stephens at Lloyd’s Blog – I want a tree like that! The aesthetic values of trees alone make them an incredibly valuable asset. Let’s get warmed up with 50 beautiful tree photos. There’s a nice countdown of the 10 most magnificent trees in the world. 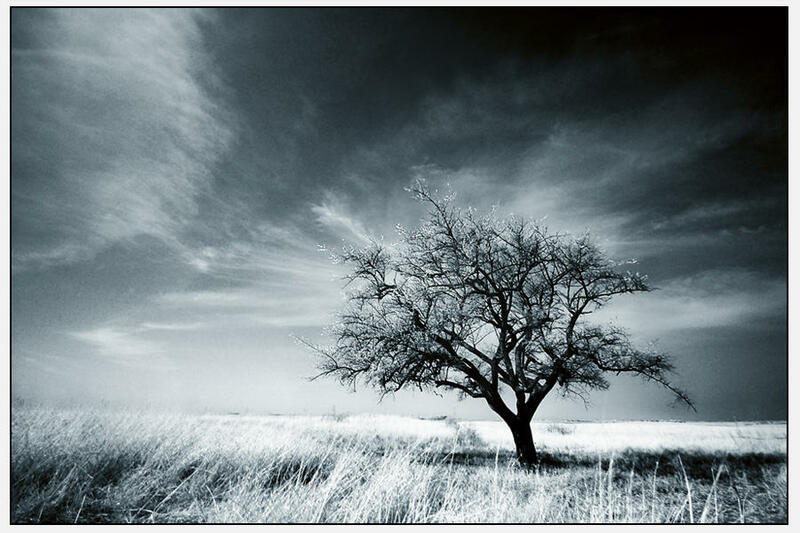 Or those with melancholic tree leanings can check out the beautiful Lonely Tree blog. Enter the matrix in the Duplicative Forest. A mature leafy tree produces as much oxygen in a season as 10 people inhale in a year. They help cleanse the air by intercepting airborne particles, reducing heat and absorbing air pollutants. A healthy acre of trees can store 2.6 tons of carbon a year. If the tree falls – we all fall. TED conferences turn academics and researchers into global sensations, given a voice to change the world – brought to your computer screen. Nalini Nadkarni spoke about saving the forest canopy, prisoners growing moss and ‘Treetop Barbies’. Richard Preston talked about the enormous trees of the US Pacific Northwest. New Zealand has over 600 native trees and shrubs. And they’re amazing: the Christmas pohutukawa; the gorgeous kākā beak; the sunshine flowers of the kōwhai; the healing mānuka; the mighty tōtara; resplendent kahikatea; our ancient kauri; and our beloved silver fern. One of trees greatest gifts to mankind has been housing. But it’s tree houses that truly get me excited. And there are amazing examples all over the place. On your next holiday – consider treehouse accommodation. Three of my favourites: the Minister’s rambling tree house, the tree castle at Alnwick Gardens and the Yellow Treehouse Restaurant. So it is my firm intention that every Friday I post some of the fascinating little gems of info, photos and links that have delighted me that week, discovered in the wonderful garden of knowledge that is the internet. For those lucky enough to own a digital SLR and love getting all macro, but can’t afford the equipment, the Flickr blog introduces a reverse lens technique. Links through to gorgeous examples and a quick overview to get you started. In the wake of Mother’s Day, Pruned reflects on the world cut-flower trade, doing an excellent summary on Kenya and it’s ‘conflict flowers’ in relation to horticultural haemorrhaging in the shadow of Eyjafjallajökull. Speaking of unspeakable volcanoes, it will be interesting to see how food supplies, ingredients and medicinal herbs will be affected by this event. Ohhh – but watch this video and have you seen these glorious images? Garden.geek.nz takes a look at the aesthetics and tastiness of the tamarillo, and provides an excellent link through to a report on nutritional composition and benefits of New Zealand tamarillos. Veg.itecture introduces us to the Bolton eco-house in the UK (via World Architecture News), which from the air looks like a pretty little flower. Also check out the post on the Lincoln Center green wall. And you’ve gotta see Vincent Callebaut’s dreamy, jewelled airship-cities powered by seaweed. The Belgian architect also does a lovely line of Dragonfly Vertical Farms. Makes me want to live in the future! Main image by Flickr user Holger Hill.